Editor’s note: This article is based on a public lecture given by the author at the Australian National University on May 21, which you can watch here on video. COMMENT | Labels abound to describe what is happening to Malaysian politics since the May 9 14th General Election (GE14), ranging from “democratic transition” to more ambiguous “change”. Equally varied are the prospects for the country, with scholars touting greater “democracy” and others pessimistically highlighting a return to the worst of the Dr Mahathir Mohamad years, run by a “motley crew” with less-than-favourable assessments of Mahathir and/or Anwar Ibrahim based on views of their pasts. The tumultuous political events call out for explanation and analysis. Rather than embedding analyses with superlatives or pejoratives, the focus of this piece is to disaggregate the interrelated developments occurring and to point to the factors that are shaping their outcomes. At this juncture, given the uncertainties surrounding Malaysia’s political future, it is important to lay out the factors and conditions that are shaping political trajectories. It is also important to acknowledge that the scope of issues involved indicates significant political changes ahead. There are five different important interrelated developments happening in Malaysia. The May 9 results call out for explanation, given the large electoral swings, victory for Pakatan Harapan and devastating defeat for BN, especially for PM Najib Razak and his party, Umno. To date, there are three different frameworks to understand the results. The first focuses on agency, namely the role of leaders in shaping the outcome. Here attention focuses on the liabilities caused by Najib (and his wife Rosmah Mansor), the “game changer” role of Mahathir and the foundational role of Anwar in shaping the reform movement and opposition. The second highlights more structural socio-political forces. These include the centrality of nationalism in the election, deterioration of political institutions within the BN, notably Umno, the expansion of the reform movement through organisations such as Bersih, the reconfiguration of the former political opposition (Harapan) through learning and compromise, the impact of taxation and economic conditions of inequality and precarity, as well as effects of globalisation and contraction of social mobility. The third frame concentrates on the dynamics in the campaign - the interaction of factors that created the momentum of the “perfect” political storm of May 9. Here we witnessed the use of emotion, the control of political narratives, viral use of WhatsApp by ordinary citizens, and strategic entry into the campaign of former civil servants, which served to inspire defections of Umno loyalists and the showcase of the ineffectiveness of the BN’s electoral tactics. Campaign developments also highlight the limits of polling to predict results, and the central role that the behaviour of ordinary citizens had in determining the outcome. These frameworks speak to how differently Malaysian elections are understood and point to varied assumptions about future trends - whether it involves the behaviour of leaders, socio-political conditions, or public narratives. As analyses continue, there are likely to be further expansion of these frames and intensive debate on the causes of the electoral outcome(s). Key to this will be more in-depth analysis of the results themselves. My own preliminary analysis shows, for example, considerable erosion of support within the Umno grassroots (with movement to both Harapan and PAS), as well as the critical role of swings in Sabah and Sarawak in the final outcomes - highlighting the need to look at Umno and campaign dynamics in East Malaysia. This is likely to be one part of a more complex picture. The day after the election was arguably one of the most important in the country’s history, when a turnover of government occurred after nearly 61 years. The immediate post-election period is less known, as much of the developments happened behind closed doors. What is public is that the day-long delay in the swearing in of Mahathir as prime minister, statements and tweets by political actors, changes at the state level of the Sabah government, and subsequent revelations of offers to the premiership to Wan Azizah Wan Ismail point to resistance inside the system to acceptance of the political mandate of Mahathir. 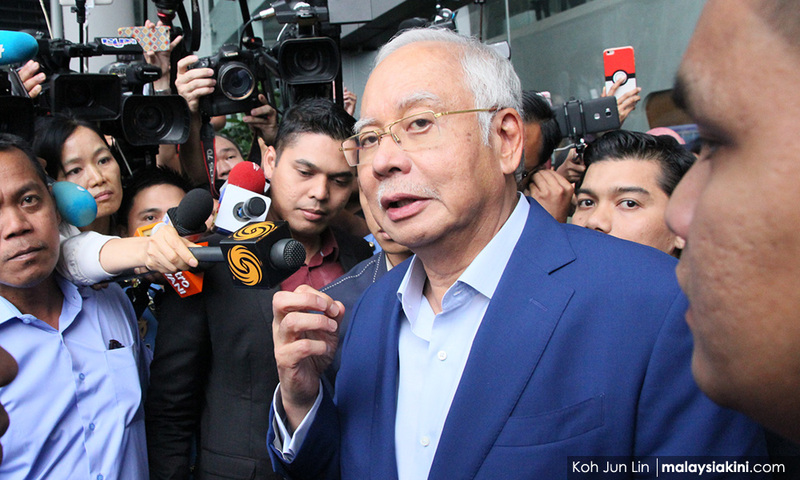 Najib’s unbecoming post-election claim that he “gave” up power, given the realities of his loss and the requirements of the Constitution, suggests that he was considering alternatives. History will likely reveal more of this critical juncture, but here too we can look at the role of individuals, structures, and interactive processes in understanding this outcome, especially compared to other important political junctures of 1969 and 2008. Among the individuals that will stand out in 2018 are members of the royalty, leadership of the police and civil service, and members of Umno - insiders who opted for the turnover. My own view is that economic conditions placed greater constraints on the system, as the impact of further political turmoil and potential violence would have had a decisive impact on Malaysia. Research on critical junctures of power point to the role of pacts and cooperation, and what is striking about Malaysia’s turnover is that the pact has apparently not included Najib as he is to (rightly) face the “rule of law” for his reported abuses of power. 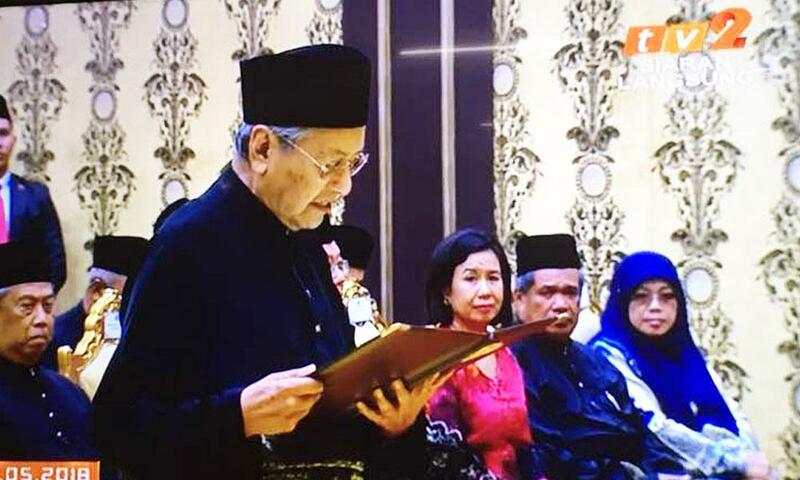 The electoral turnover raises issues that will shape the political path ahead - the importance of the royalty as an arbiter, the potential instability that comes with a small margin of victory in terms of seat numbers (at both the federal and in some states), and the central role that trust inside Harapan will play in its viability as government. This segue highlights that there is now a new government and opposition. This is not just a matter of changed roles, but significantly different coalitions and relationships from the past. Harapan may have taken over the mantle of national leadership but it is based on a different formula inside the coalition than BN. Rather than dominance of one party, there is greater equality of the different parties. How much power they will have is likely to be challenged and compromises will have to be made. 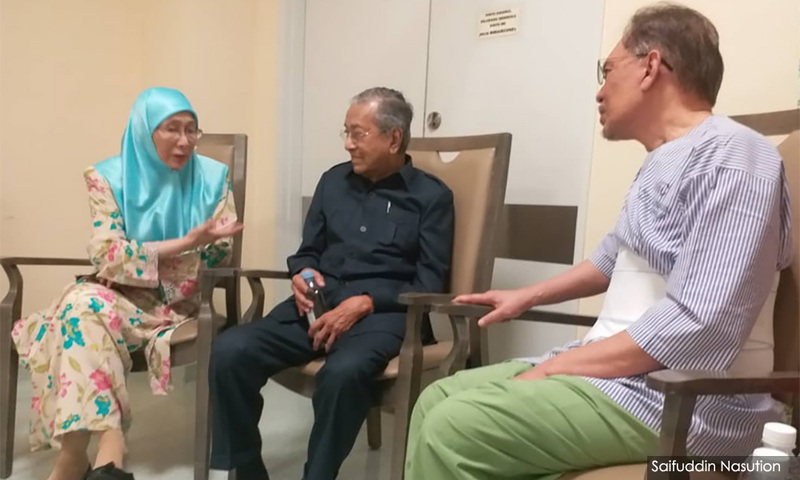 Complicating this further is the pact that has shaped the future of national Harapan leadership: that of Mahathir’s promised transfer of leadership to Anwar. 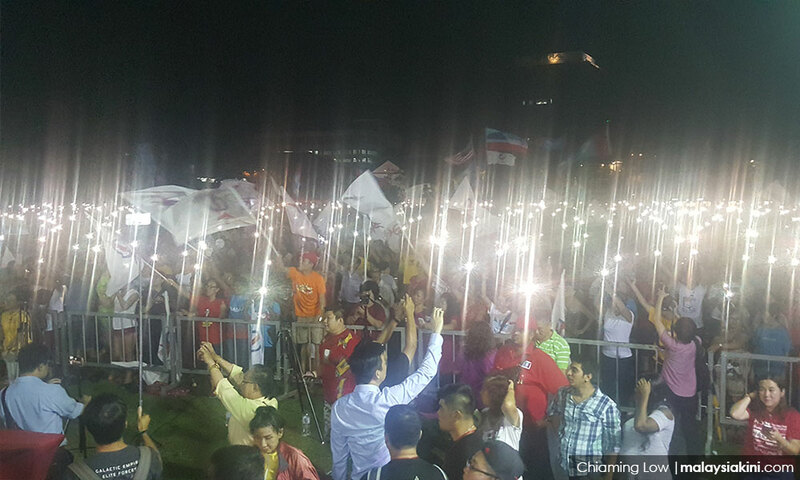 Harapan is primarily comprised of familiar political figures, but in quite different relationships with each other. 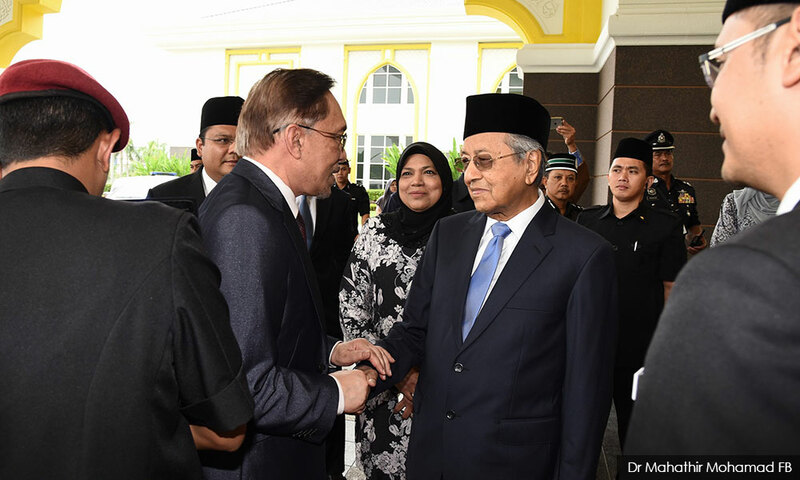 It is a relatively new coalition (together less than a year), brought together primarily for the shared goal of ousting Najib from power and secondarily to bring about further economic and political reforms. Unlike BN, there is considerable ideological difference inside the coalition, with stark differences over economic and political policies. These differences extend to different views of economic reform, affirmative action, the role of race and religion more broadly, and the scope of political reform. This is compounded by the personal tensions that have been played out publicly in the past and are likely to shape the future. How cohesive and directed Harapan will be is uncertain, but what is certain is that these relationships will be tested (and retested) in the months ahead. 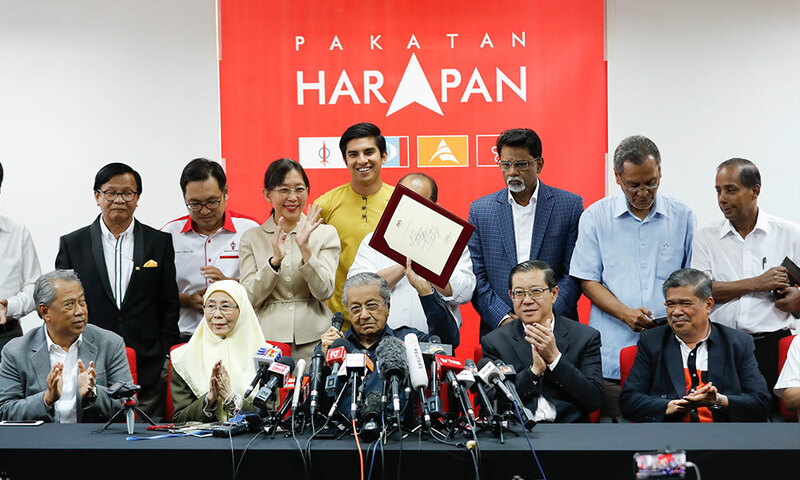 Harapan faces the challenge of building trust inside itself, which is being pressured by trust it has been given by the public at large in the election. There are forces that will work to build on potential divisions, as the conservative resistance to reform in Malaysia coexists with more progressive forces. We can again see this development tied to individuals - their ability to lead, to compromise, to get along and move forward - and their personal narratives of sacrifice and statesmanship. We can also see these developments tied to political forces and pressures in society that are likely to continue to actualise their power and put pressure on the new government from inside and in the public at large. Lessons show that greater inclusion can mitigate instability but at the same time this inclusion will require patience and hard work to resolve differences. The compromises made at the early stages of government will likely set the parameters of any reforms. A crucial part of the new political context involves the reconfiguration of the opposition itself. As Harapan faces the pressure to become like BN, the coalition that Abdul Razak Hussein formed has died - killed by his son. 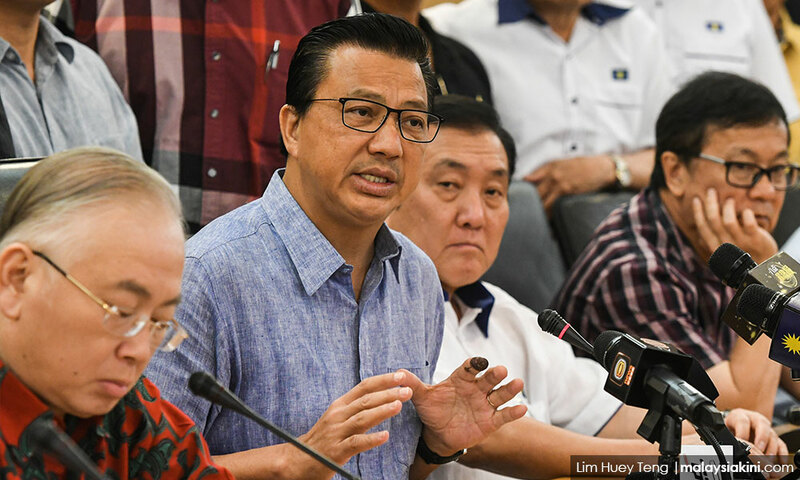 The parties involved are choosing their exit strategies, seeking relevance in irrelevance for some (such as the MCA and MIC), seeking safety in place (such as many of the BN component parties in East Malaysia) or seeking a new formula for political survival. The death blow for BN in GE14 has come as a shock to many, and the BN component parties are slowly coming to terms with the reality that they are no longer in power, and no longer with the same level of access to power and state coffers. Choices ahead will likely be contested, as each of the parties will fight over spoils and exit/future strategies. None of them has escaped severe wounds. Umno in particular has been politically decimated, losing half of its seats - which now number 54, only 24% of the parliament. MCA has one man standing, and even this is being challenged in an election petition - MCA is essentially over as a party, with its sellout to China rather than representation of Chinese Malaysians a crucial part of its death knell. The only real survivor will be Umno, but the battle ahead within it will be fierce as there is contestation between “old” and “new” forces - those wanting to focus on race and religion and those wanting to move away from this model. The shadow of being declared illegal is ever-present, as Najib’s mismanagement of the party extended to putting the party’s legal future in jeopardy. Umno will have a hard time thriving without access to state resources. Scholars are already coming together to analyse Umno’s future - with a new revised ‘End of Umno?’ in the works - but questions of leadership, ideology and the party machinery are already being played out in public. What is clear, however, is that Najib’s leadership of the party - where he made the party his own vehicle and in effect destroyed the connection of the party to responsible national governance - will be a difficult legacy to step away from, especially given the previous acquiescence of current leadership contenders to Najib’s political excesses. Not to be left out is the prominent role of PAS, now holding onto 18 parliamentary seats and two state governments, one of which (and arguably two) they hold due to the facilitating role of Najib’s cooperation with the party. PAS adopted a two-prong strategy in GE14: to be “open” to Umno (thus receiving considerable support and benefitting from the erosion from this party) and to embrace an exclusionary conservative religious/racist agenda under the leadership of Abdul Hadi Awang. These decisions will have their own reverberations as PAS faces pressure inside its own party, especially over the alliance with Umno. 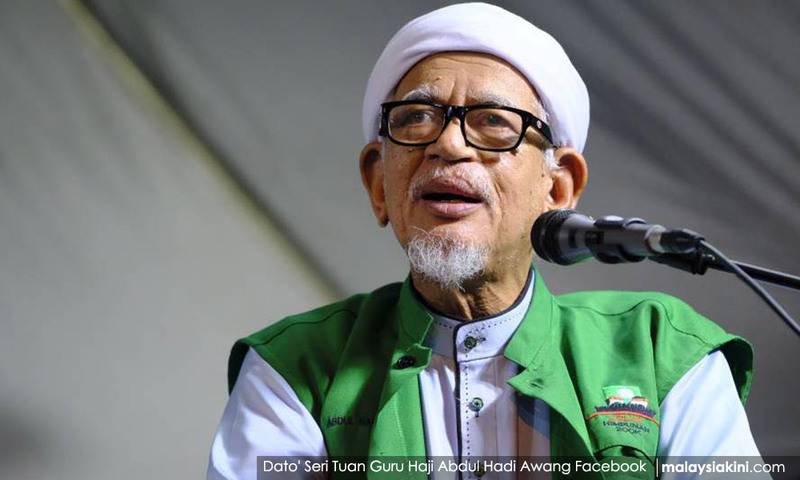 Few in PAS fully appreciate that the decisions surrounding GE14 cost them a role in the federal government and the chance to genuinely become a national party, as Hadi has relegated its political centre to its traditional base of the East Coast heartland. Perhaps even more significant will be the potential impact the change in government will have on the PAS conservative agenda, as Harapan is arguably more secular than BN had become under Najib. How PAS moves ahead - in terms of its leadership and alliances, and its mobilisation of conservative forces in Malaysian society - are responses to the GE14 campaign itself and will set the course of the debate. Both Umno and PAS have been weakened by GE14, and will likely to be internally focused for some time, but the tactics they adopt ahead set the parameters for political discourse. There are considerably darker forces in Malaysia’s political life that will need to be controlled and dampened. Malaysia needs a strong constructive opposition. The battle is on for whether the new opposition will in fact be destabilising or positive for Malaysia’s future. Amidst these political machinations are serious demands for reform, as the GE14 has opened up long-contained cauldrons. The new government has prioritised the economy, and this is long in coming. While growth numbers have appeared positive, the fundamentals in the economy have been less favourable - as is evident in the election result against Najib. The need for substantive economic reform has been clear since the 1997 Asian financial crisis and has been exacerbated by Najib’s mismanagement of the government-linked companies and recklessness in handling national debt. The issues go well beyond the scope of this short piece but worth highlighting given that it is essential to understand that Malaysia is now facing broad changes. Given the close ties between the economy and political life in Malaysia, changes in the economy will inevitably affect the former and vice versa. Attention has centred on the multi-billion dollar 1MDB debacle, and Malaysia is likely to set an important international example in the implementation of the rule of law with this scandal, as Malaysians count the minute to Najib’s incarceration (as well as the disgraceful number of handbags). There are three broad areas that are worth drawing attention to as Malaysia moves ahead - a) the future driver(s) of economic growth, b) the introduction of a needs-based social policy to address the class, racial, regional and gender inequalities and problem of contracting social mobility, and c) the management of the state sector and its relationships in the political economy. All of these areas are being reassessed as the new government comes on board, highlighting that there are both opportunities and constraints in bringing about economic reform. Not least of these are different international conditions. There is little consensus on Malaysia’s economic reform trajectory and given the lack of understanding outside of Malaysia of the appreciation for the need for greater transparency, and likely readjustment of the numbers underlying economic conditions (as the Najib administration played loose in the assumptions of its financial projections), this will be a challenging path ahead. Similar factors shape the debate over political reform. A wide-agenda has been incorporated into the Harapan manifesto, from the role of the prime minister to changes in the Electoral Commission. There are different priorities, further complicated by the reality that the current prime minister is responsible for deepening democratic decay. Public debate in the wake of the election has showcased the breadth of concerns - from corruption allegations against Taib Mahmud in Sarawak, to the murder of Kevin Morais and trafficking victims in Wang Kelian, as just a few examples - with different positions taken on the role of the police, civil servants and businessmen (or cronies). Among the long list of political changes are legal reform and justice in cases, changes to political institutions to strengthen checks and balances, institutional integrity, efficiency and governance, reducing corruption, electoral reform, improving race relations and religious administration in areas such as Islamisation, protecting human rights and rebuilding of the education system - and this is not an exhaustive list. There are debates over these areas and over which should take priority, and, significantly, there is resistance to reform both inside and outside of the political system. Studies have shown repeatedly that Malaysians have different visions of democracy and their political future, with many more conservative forces, for example, seeing Islam as political empowerment. It would be a mistake to assume that the political polarisation of the past is not in the present, as fewer than 50% of Malaysians voted for Harapan. Beyond different outlooks is the challenge of implementation of reform, given resistance inside the system to change and the decay of the civil service over time, in large part exacerbated by Najib’s deep spending cuts and politicisation of governance. The new government will need to remove Najib loyalists while simultaneously building on the goodwill in the system and making allies with those in the second tier of the bureaucracy. As Malaysia moves forward, there will be steps back, sideways and delays ahead. Leadership, socio-political conditions and interactive processes will combine to set the direction(s) ahead, which at times will likely appear contradictory and inevitably fail to meet the varied expectations of Malaysians and outsiders alike. The last two weeks, however, are promising and speak to the bold and profound path of change that the country is embarking on. Harapan - hope - has lived up to its name, so far. This article first appeared in New Mandala.